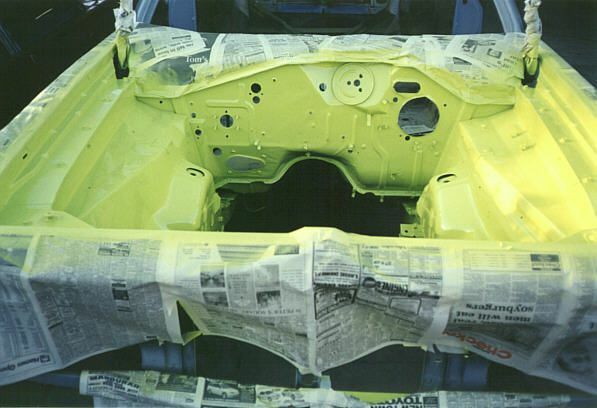 I bought the Hardtop in August 97, it had a healthy 360 in it, backed by a 727 and 3.23:1 Borg Warner diff which was all fitted by the previous owner. 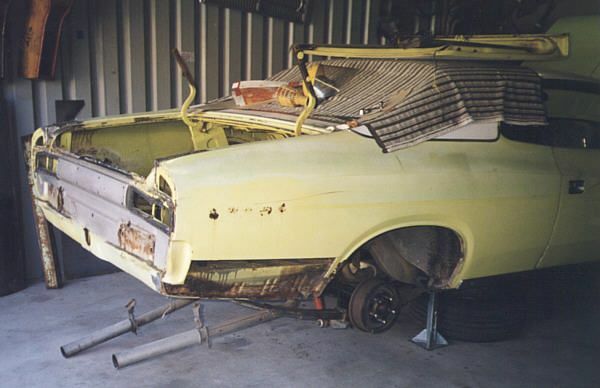 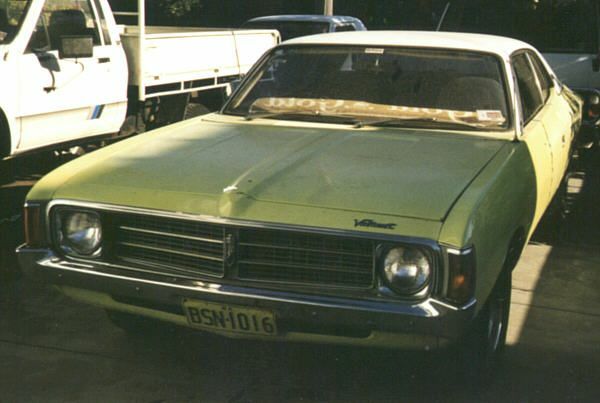 The car originally had a 265 auto and was sold new by Paul's Chrysler of Bunbury and lived with its first owner in Bussleton (it still has Bussleton plates). 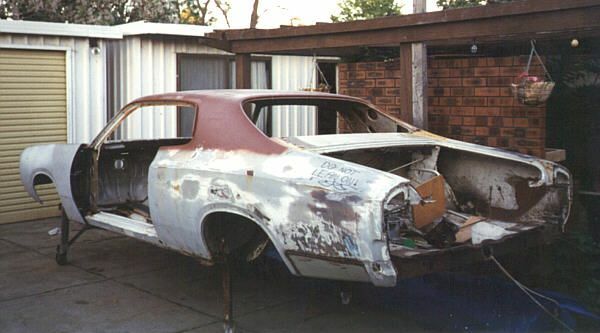 As far as I am aware I am the 4th owner. 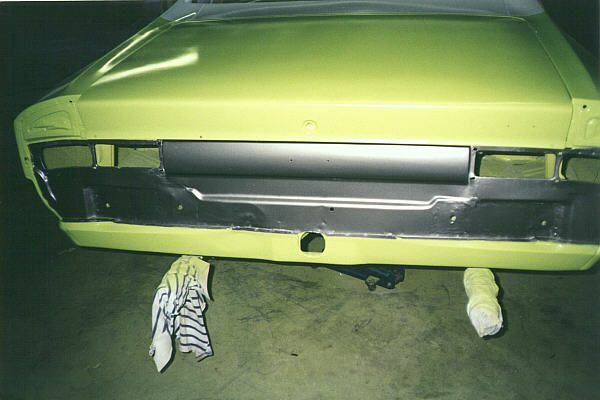 Z14 which has been hand stamped into the plate, which makes us think it was a dealer fitted option. If anyone knows this option please contact the club. 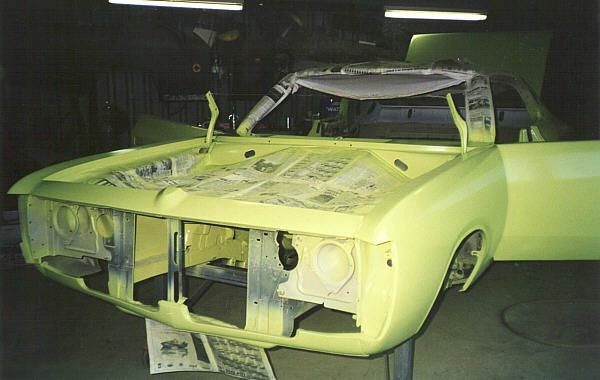 The date of build was 23/11/73 and the build number is 564. 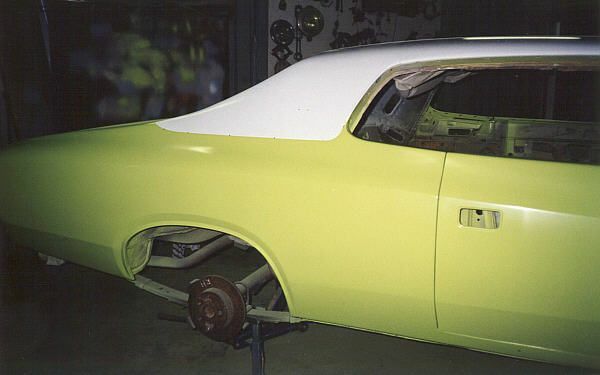 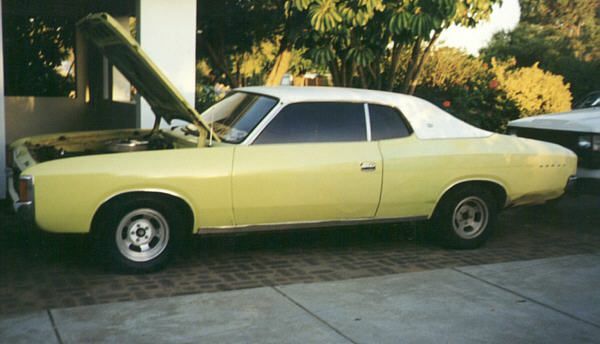 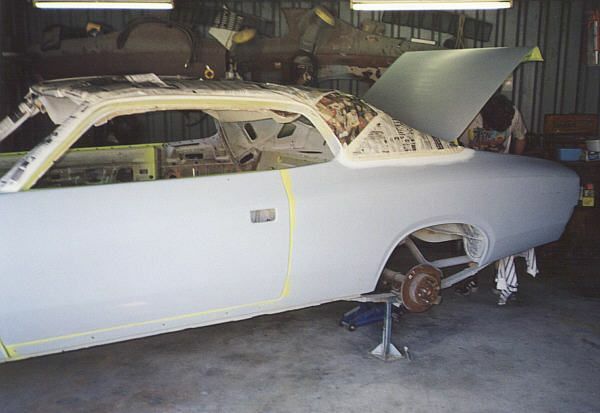 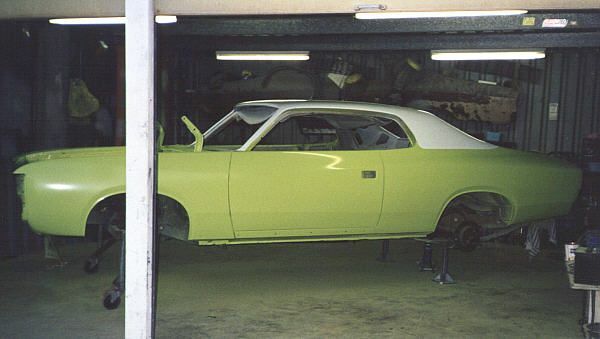 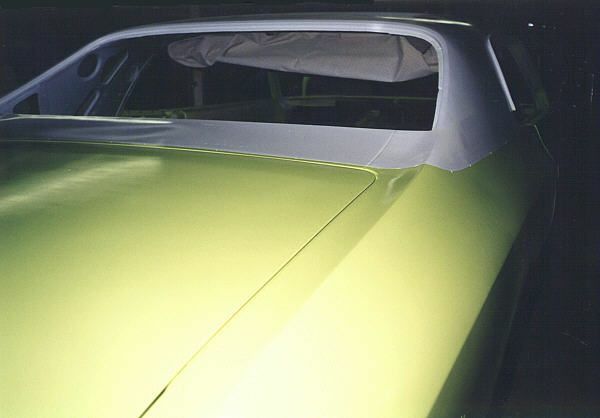 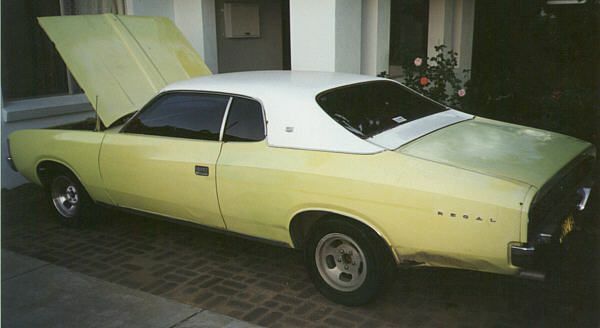 The car is painted (which is original) Limelight with an Arctic White roof, and Brown interior. 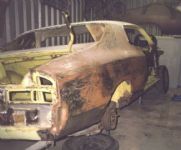 Although when I purchased it, it had a knackered paint job and had its share of rust and dents as you can see from my photo's. 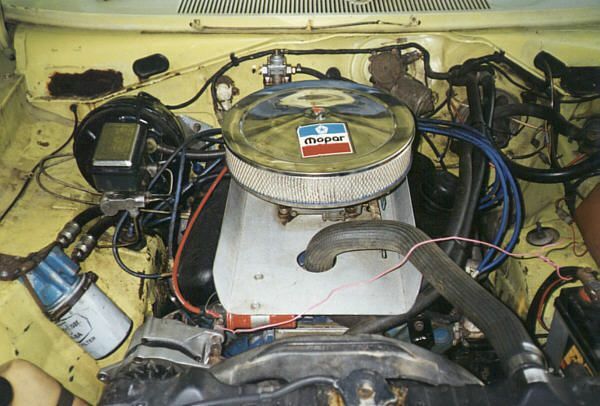 The 360 had a 600 Holley, 340 manifold and cam, set of extractors and everything else in the engine was stock. 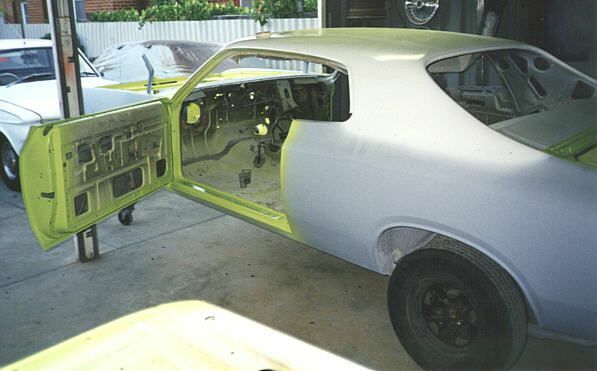 The 727 had a stage 2 shift kit. 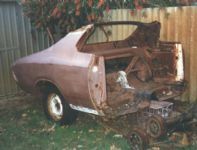 In November 97 I went to the drags and the car suffered fuel vaporisation problems running mid 15 to mid 17's, which I was disappointed with. 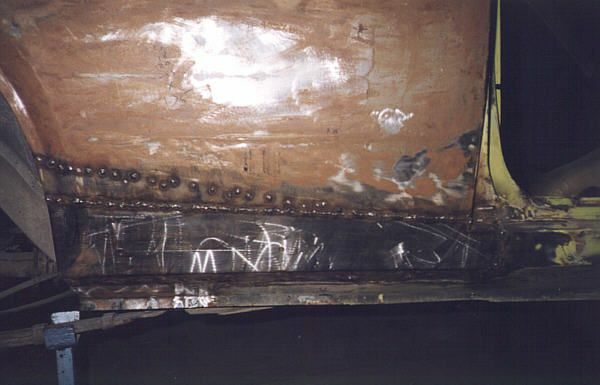 After leaving the car for a while, thinking it was not going to get better, we ran a 14.8. 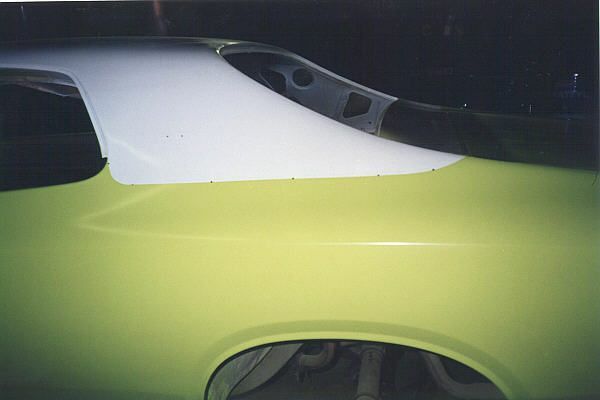 Going down to the drags in December with insulation on the fuel lines it ran a 14.7. 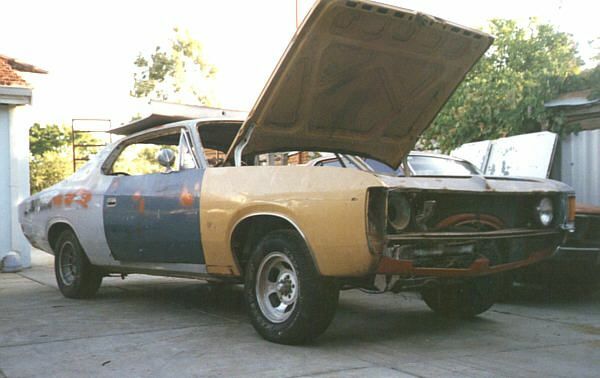 The next drag run was the January Ford v's Holden night where it ran a 14.6 due to 3.5:1 gears in the diff and a Holley electric fuel pump, with this I ran consistent times coming runner-up in the non Ford/Holden Bracket. 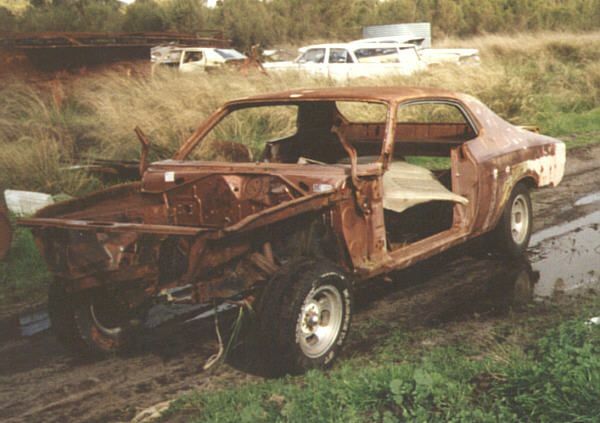 The last time I ran it down at the drags was with the club in April 98 where I borrowed Wayne Keating's Hoosiers and ran a 14.5. 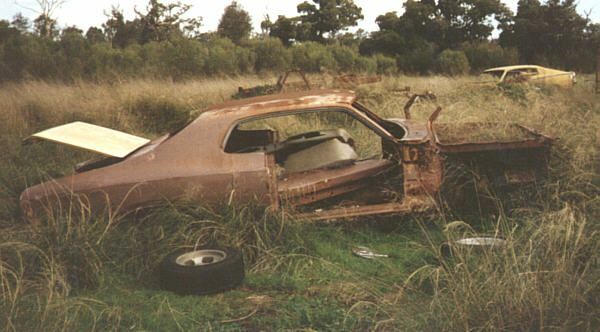 This was the time I did the top gear burnout (not with Wayne's tyres). In May 98 I started the ground up rebuild. 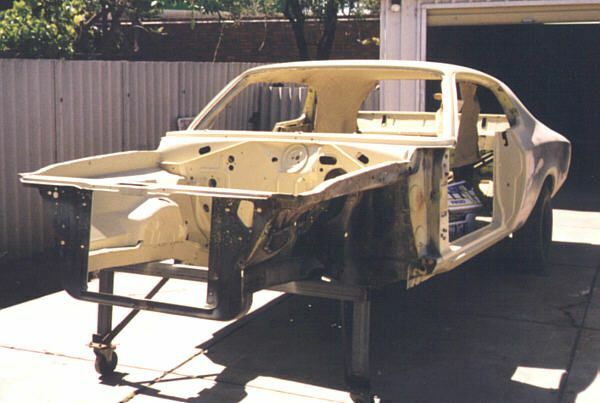 I stripped the entire car to the shell and fixed up all the rust and dents. 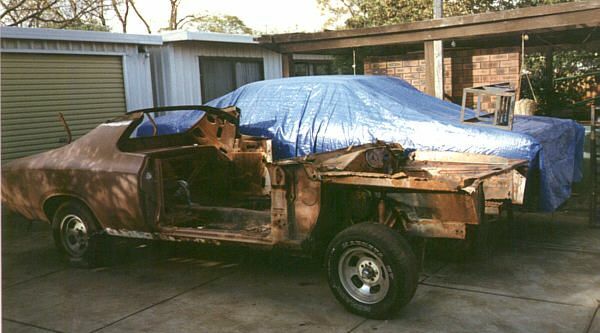 The rust was fixed by mig welding cuts from other cars or making my own. 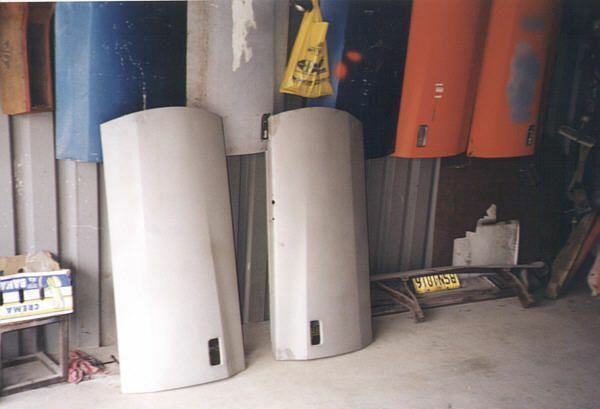 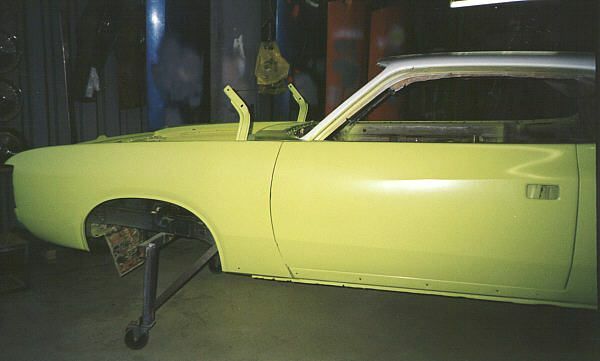 The quarter panel bases were bought from Hemi Performance and welded in. 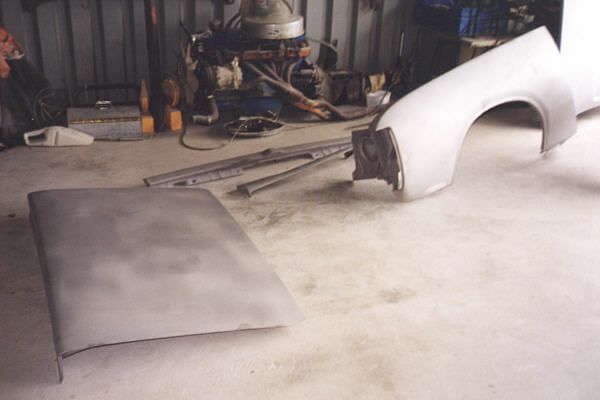 I also replaced the bonnet and guards. 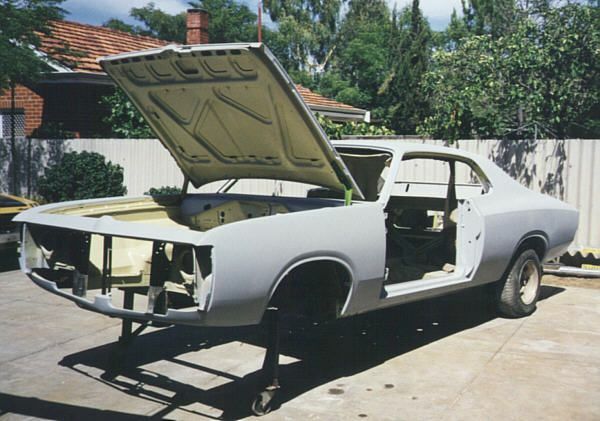 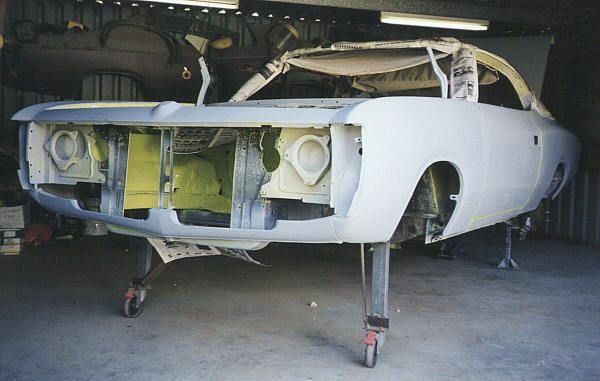 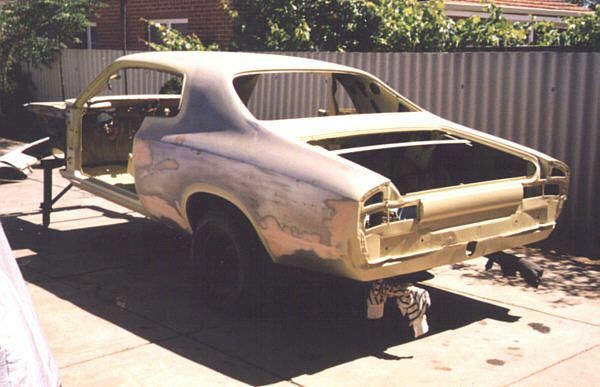 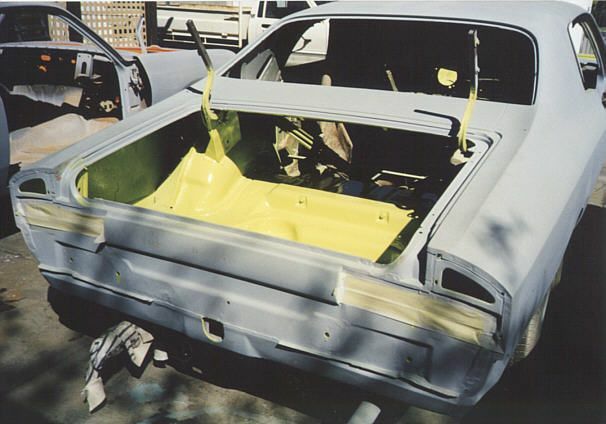 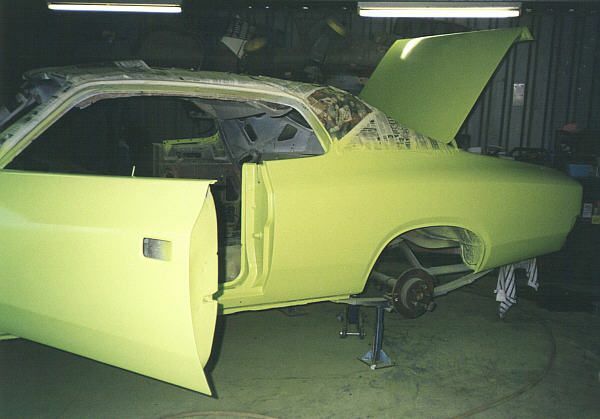 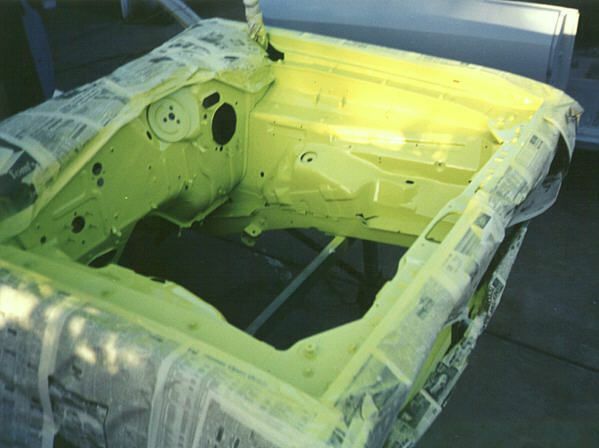 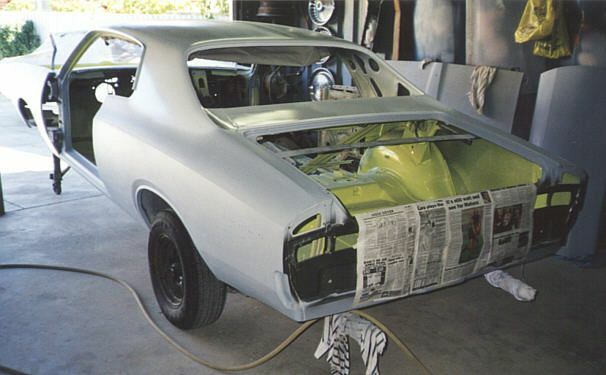 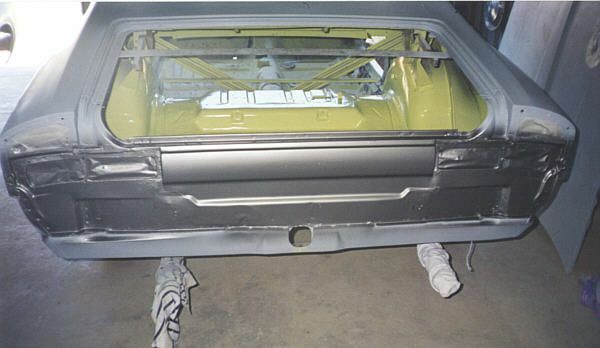 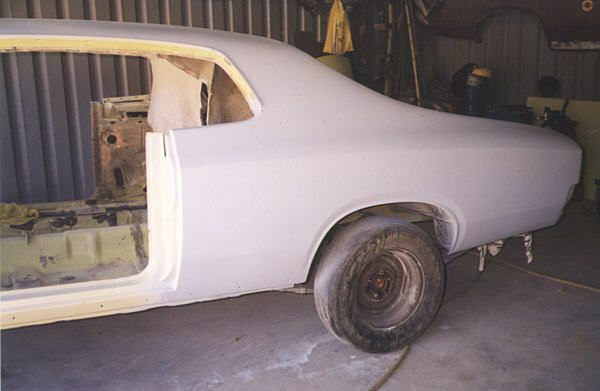 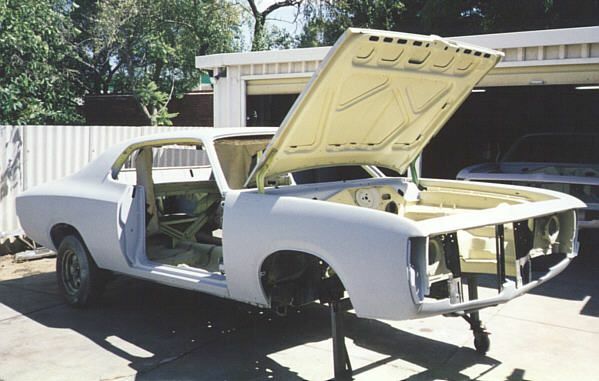 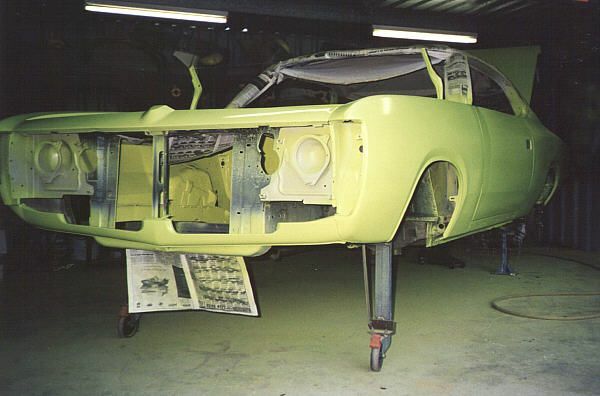 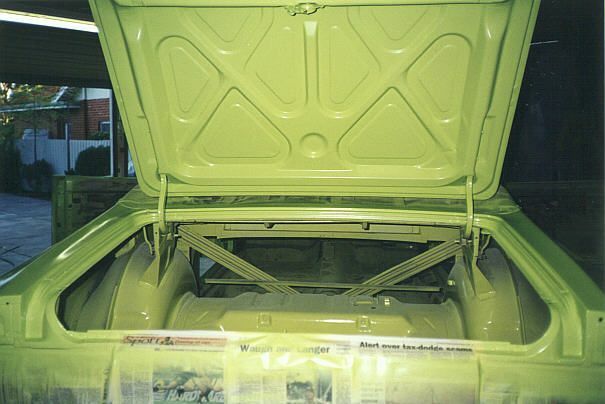 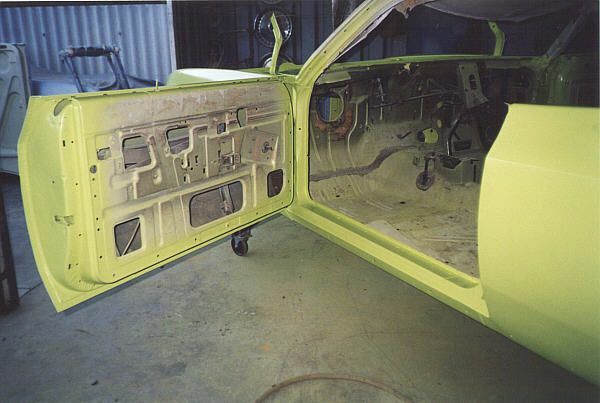 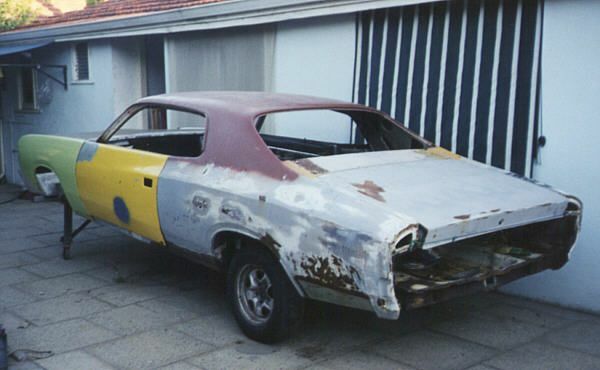 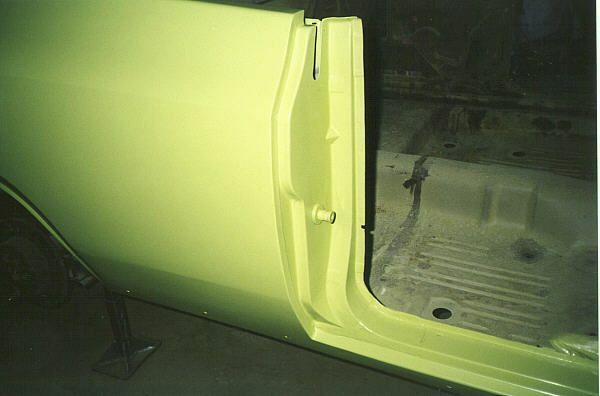 The whole car was stripped back to bare metal before repainting it in original colours. 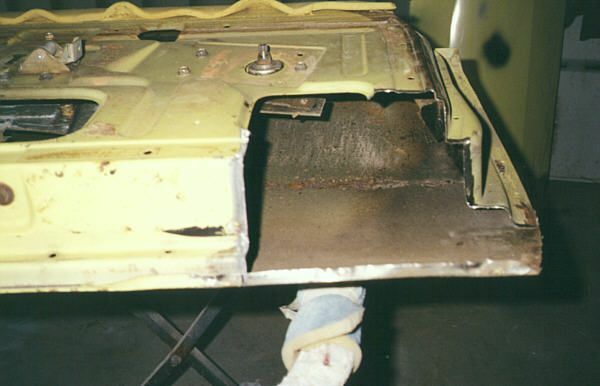 This is where I am now after a year. 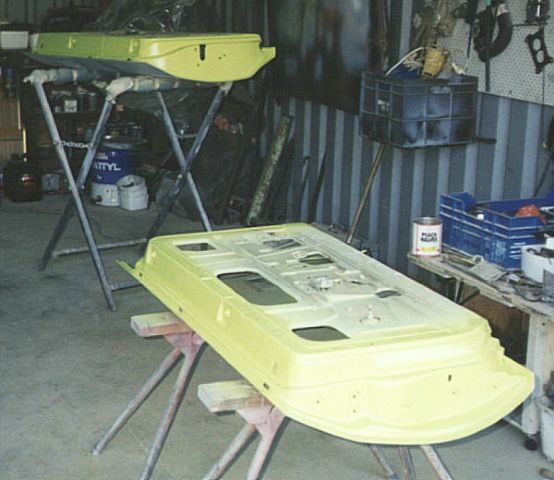 My other Hardtop I bought in November 93 for $300, this is also being rebuilt as time allows. 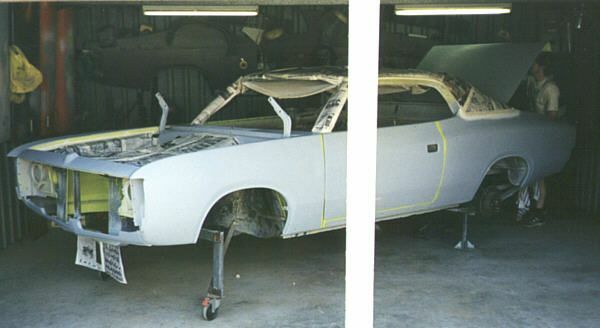 The date of build for this car was 3/9/73 and its build number 370. 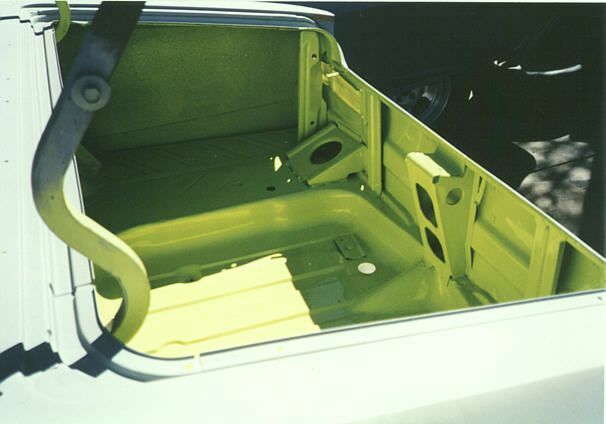 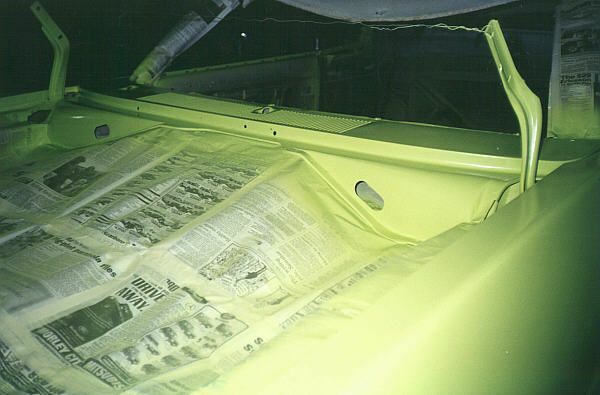 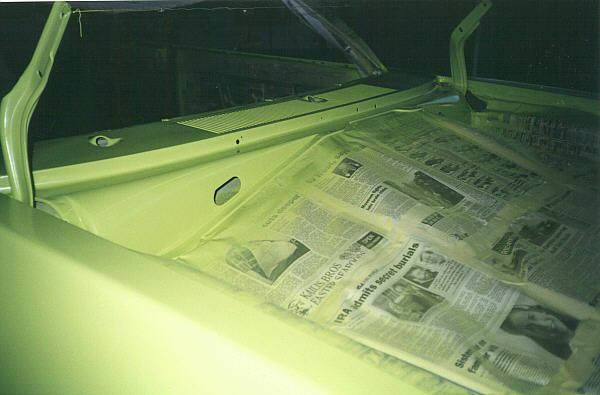 This hardtop was originally Arctic White with a Black vinyl roof and interior. 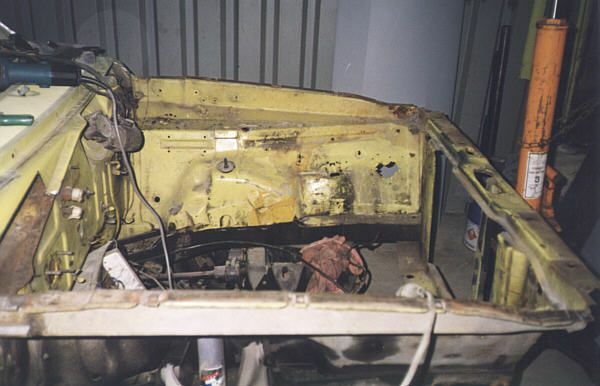 The other Hardtop I bought in mid 96 for $150, this car was a very rusty shell which I salvaged panels from. 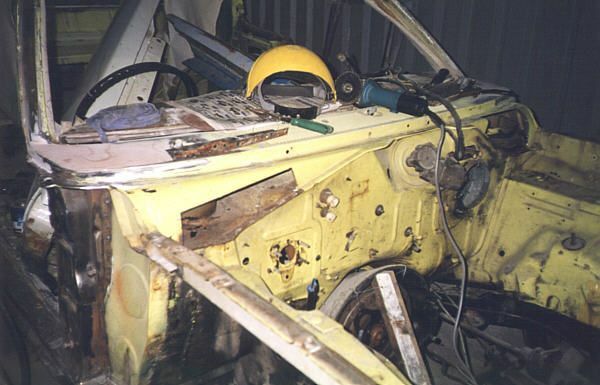 The date of build for this car was 17/5/73 and its build number 111. The original colour for this car is Star Bronze Metallic with a parchment interior and vinyl roof. This car was quite well opioned but unfortunately too far gone to restore.